Parasites are often undetectable to the naked eye, but they can wreak havoc within your body. Depending on the type of parasitic infection you contract, you can experience a variety of negative and potentially health-destroying symptoms. Your doctor will conduct tests once symptoms become apparent and will determine treatment based on the results. Probiotics are widely recognized tool for destroying harmful bacteria, and may be beneficial in treating parasites as well. Parasites are tiny worm-like invaders that cause illness or disease. The University of Maryland Medical Center reports that there are two types of parasites, called helminths and protozoa. Helminth parasites include invasions like tapeworms, pinworms and roundworms. Protozoa consist of one cell and cause dangerous infections by reproducing within the human body. If you host a parasite, it can infect any area of your body, most commonly the intestinal tract. One of the primary ways to become infected with a parasite is by coming into contact with contaminated feces, which may be present in soil, water or food. Poor sanitation and hygiene, as well as travel to infected areas and having a weak immune system, increase your risk of getting a parasitic infection. You can live with a parasite for a long time without having any symptoms. Once symptoms appear, you typically experience abdominal pain, diarrhea, nausea, vomiting, gas, rash, blood stool, tiredness and weight loss. You may also notice the presence of worms in your stool. Probiotics are beneficial bacteria that may be instrumental in treating your parasitic infection by destroying it and eliminating it from your body. Probiotics work by restoring the natural balance of bacteria in your digestive system, which helps rid your body of harmful bacteria and germs. Taking probiotic supplements or eating foods rich in probiotics may help your body work more efficiently at killing parasites. The National Center for Complementary and Alternative Medicine reports that while each person reacts differently to probiotics, they may have the capacity to suppress the growth of parasites. "Current Issues in Molecular Biology" adds that probiotics may have immune-boosting powers, which may help prevent parasites in the first place. Proper hygiene and food handling go a long way towards reducing your risk of a parasitic infection, but probiotics may improve your immunity and help prevent them as well. The University of Maryland Medical Center notes that regularly consuming probiotics is a preventative measure that may keep your entire digestive system in good working order. A healthy digestive tract may have a greater ability to ward off parasites and keep you healthy. 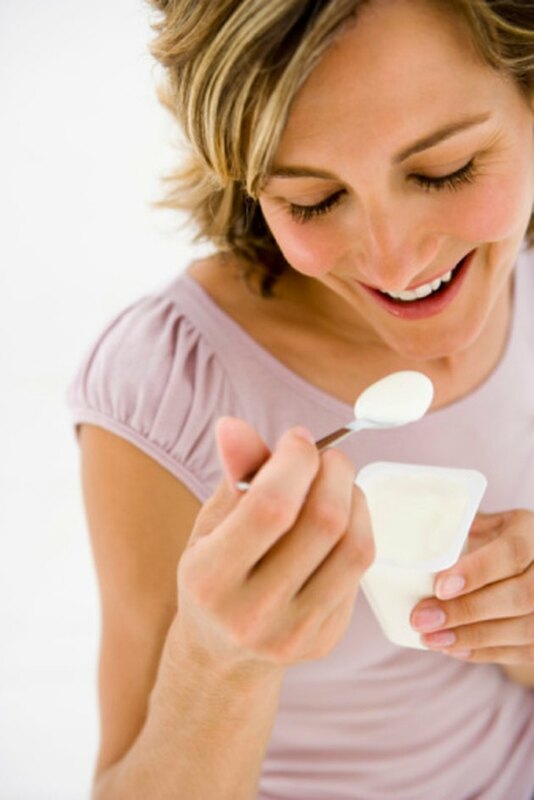 Eat yogurt, kefir, miso and sauerkraut or take a supplement to help you get enough probiotics in your diet.